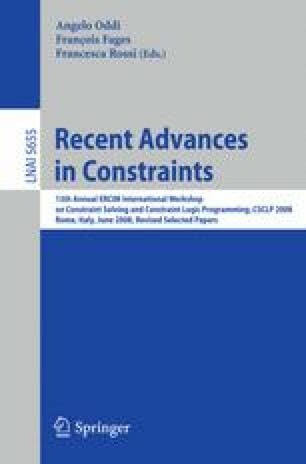 In this paper, we present a rule-based modelling language for constraint programming, called Rules2CP. Unlike other modelling languages, Rules2CP adopts a single knowledge representation paradigm based on rules without recursion, and a restricted set of data structures based on records and enumerated lists given with iterators. We show that this is sufficient to model constraint satisfaction problems, together with search strategies where search trees are expressed by logical formulae, and heuristic choice criteria are defined by preference orderings on variables and formulae. We describe the compilation of Rules2CP statements to constraint programs over finite domains, by a term rewriting system and partial evaluation. We prove the confluence of these transformations and provide a complexity bound on the size of the generated programs. The expressiveness of Rules2CP is illustrated first with simple examples, and then with a complete library for packing problems, called PKML, which, in addition to pure bin packing and bin design problems, can deal with common sense rules about weights, stability, as well as specific packing business rules. The performances of both the compiler and the generated code are evaluated on Korf’s benchmarks of optimal rectangle packing problems.